PBS and OZY Media have announced today that the third primetime television show from OZY Media, “Breaking Big,” will premiere June 15, on PBS stations nationwide. “Breaking Big,” a 12-episode documentary series, explores the unexpected journey to success of some of the world’s most influential artists, innovators, political leaders, athletes, authors and entrepreneurs. 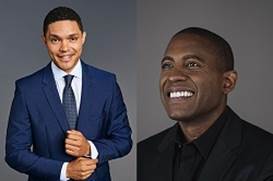 Hosted by Carlos Watson, an Emmy® Award-winning journalist, series explores the twists and turns on the road to thriving careers for some notable figures in various fields. The series of 30-minute documentary films traces the unusual paths followed by 12 talented men and women—from country music superstar Jason Aldean and former Fox News anchor Gretchen Carlson to Oscar-winning director Lee Daniels and “Daily Show” host Trevor Noah—who overcame nearly insurmountable obstacles and long odds to reach and reimagine their own potential and, ultimately, to break big (12 x 30’). Federation Entertainment and top British executives Paul Marquess and Donna Wiffen have joined forces to create Long Story TV, a production entity which will develop English language drama series. Long Story TV’s development slate will kick off with “Death In Bruges.” This series of five, two-part stories will see UK detectives investigate a string of seemingly unconnected murders in the historic Belgian town. The series kicks off when the body of a British tourist is fished out of a canal. What looks like an accident turns out to be something far more sinister—the dead man turns out to be an undercover British police office (10 x 60’). "Firehouse Kitchen" isn't your ordinary cooking show. Each week Retired FDNY firefighter Ray Cooney visits firehouses across the country, sharing recipes and stories of heroism with local firefighters. Ray has combined his love and passion for food and his fellow firefighters together in this series taking you into the lives of firefighters, their mastery of culinary arts and heroic lifestyle. With over 2+ million firefighters in America, the result is a brand new form of cooking entertainment. The creators of the show bring great food, fun and fire safety tips to the screen all in support of Friends of Firefighters, as well as local burn centers (52 x 30’ HD). ZDF Enterprises has started the distribution of “Other People’s Problems,” the first short form drama series in its catalog. The Australian drama/comedy series was directed by Erin White, written by Penelope Chai and Jane Dickenson and produced by Charlotte Seymour. 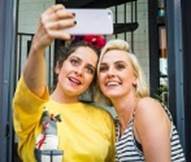 The web series was originally created for ABC iview and showcases a powerhouse of Australian female creative talent. Maria Angelico stars as Florence, a reluctant copywriter who embarks on a venture to ghost-write letters solving other people’s problems, in exchange for second-hand clothing. Her co-stars include Ainslie Clouston, Melbourne-based artist Tariro Mavondo, Marta Kaczmarek and Ra Chapman (5 x 7’). Available as a format or finished drama, “Anone” is the story of a young girl who, after losing her family, becomes separated from society and can no longer figure out a way to live. The drama begins when she meets an old woman, like herself, who is no longer able to believe in people due to so much deception and betrayal. The two eventually realize that they feel the same way about many things and the woman shelters the girl. It's a story of searching for meaning is life, one that has misguided beginnings but evolves into true human love (10 x 60’). “Hell of a Trip” is a surprising travel show format where five participants set out on a journey to three countries. They will have amazing experiences, eat exotic food and visit amazing places. With limited time and budget each participant will plan a different day of the group’s trip. Before embarking on this journey, the contestants will discover that they will share the trip with a significant person from their past who has left them scarred. The winner will receive two tickets for a holiday of a lifetime. He or she will then have to decide whether to take a trip around the world with their travelling partner or pocket the tickets and leave this new found relationship behind once and for all (15 x 45’, format). “The Peter Schmeichel Show,” hosted by the Danish football legend, former goalkeeper for Manchester United and Denmark’s national team, has premiered on RT. The new series kicks off its coverage of Russia’s preparations for the 2018 FIFA World Cup with an in-depth look at 11 host cities. Series will be taking viewers behind-the-scenes at each of Russia’s 2018 host cities as well as providing insight into the hottest topics in the world of football as the World Cup approaches. Host Peter Schmeichel is Denmark’s most revered player, having won 129 games for the national team, as well as five Premier League title, three FA Cups, one Champions League title, and a UEFA European championship. HISTORY® has officially secured many of the biggest names in football for its upcoming mega television event, “History Of Football: The Greatest Story Ever Played.” This unprecedented event will run on HISTORY® in more than 160 territories outside of the United States, 24/7 for 14 days, from May 28 to June 10 and will present a selection of original, globally and locally focused premium series and documentaries, carefully curated films and short form specials. The weeks-long television event also takes a look at the sporting events that made such football luminaries and players as Pelé, Maradona, Messi, Ronaldo, Zidane, Villa, Rummenigge, Matthäus and Müller, household names around the world. Set to debut on May 29, “The Chinese Exclusion Act,” a two-hour film for national broadcast on PBS, will explore in riveting detail this little known, yet deeply resonant and revealing episode in American history—one that sheds enormous light on key aspects of the history of American civil liberties, immigration, and culture—during one of the most formative periods of U.S. history. On May 6th, 1882 – on the eve of the greatest wave of immigration in American history, President Chester A. Arthur signed into law a unique piece of federal legislation. Called the Chinese Exclusion Act, it singled out by name and race, a single nationality for special treatment: making it illegal for Chinese laborers to enter America on pain of imprisonment and for Chinese nationals ever to become citizens of the United States (120’). Following up on the original documentary, “Vanishing Kings—Lions of the Namib II, The Musketeers Legacy” tracks the progress of five young lions. In the ancient Namib Desert, a young adult male lion roams across the desolate, barren plains. He has ended up in a place far away from home and is desperate to find his brothers, who went missing a few days ago. Wandering through the desert all alone, he has just started the journey of a lifetime. Will he find his brothers? Will they reunite? Part II of the story about the “Five Musketeers” follows them on their dangerous first steps as adults (52’).